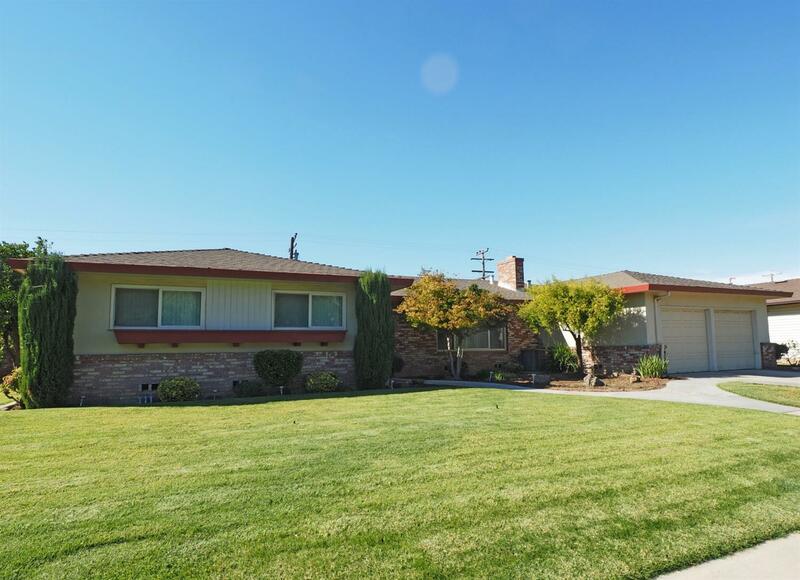 Classic semi-custom, updated home in one of Manteca's most desireable areas on a 10, 000 sq ft lot. Dual pane windows, ceiling fans, some newer appliances and an updated bath. Living room with custom fireplace and built-in bookcases, and the family room has a wet bar for entertaining. Huge back yard with oversize pool, separate building with dressing rooms and 1/2 bath, large patio areas for entertainment and room for an RV area. Come see this soon - homes in this area are seldom on the market and don't last long!